You trust your doctor and other medical professionals with your life and health, but what if they don’t deserve that trust? What if a medical practitioner doesn’t take your health seriously and harms you? You might be aware that you can file a medical injury claim to hold that doctor, medical staff, or hospital accountable. In order to file a claim for medical negligence, though, you must be able to prove negligence. Generally, negligence is defined as a person’s careless or willful actions causing another harm. The definition is a little more specific in medical injury cases. 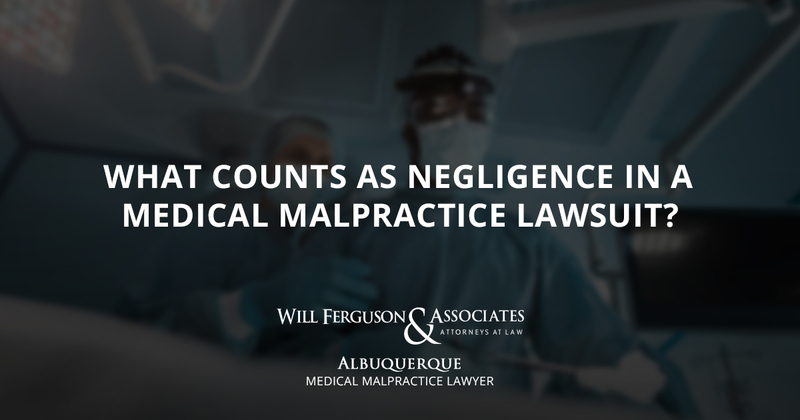 Medical negligence is when a healthcare professional’s (or facility’s) actions, or lack of action, deviate from what is considered standard medical practice. You must establish that the doctor had a legal duty toward you. In other words, a doctor-patient relationship was established. You must show that the doctor somehow breached that legal duty by providing substandard medical care. The poor medical care must have actually led to an injury for you. So you can’t file a claim for medical negligence, even if the doctor was negligent, unless you were hurt. The last element concerns damages. Your case ends with the calculation of all your losses. A lot goes into proving medical negligence, and these cases are usually a little more difficult to win than other types of personal injury claims. Also, the definition of “standard of care” is vague and means something different to different people. In general, when a medical practitioner has failed to provide you with the proper standard of care, it will be necessary to consult with other medical professionals. Those medical professionals will be asked to testify as to whether or not your doctor was in violation of what would be considered normal medical practice. Here, below, are some common examples of medical negligence to give you a better understanding. Proving medical negligence can be a challenge, as you must prove all the elements of a medical malpractice case. Unlike other types of injury accidents, the negligent behavior or inaction is rarely obvious to onlookers. That’s why it’s necessary to hire medical experts to assist with winning your claim. You deserve to be compensated for your losses when you’ve been hurt because of a negligent doctor, healthcare provider, or hospital facility. Tell us about your claim during a free case consultation. Call Will Ferguson & Associates at 505-633-0750, or enter your contact and case information into the form below.